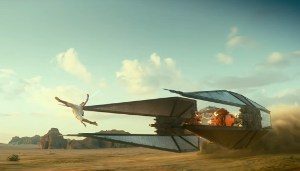 While Star Wars: The Rise of Skywalker and The Mandalorian are drawing a lot of excitement for those looking towards Star Wars content late this year, Disney has an exciting new experience being added to the Star Wars universe much earlier. 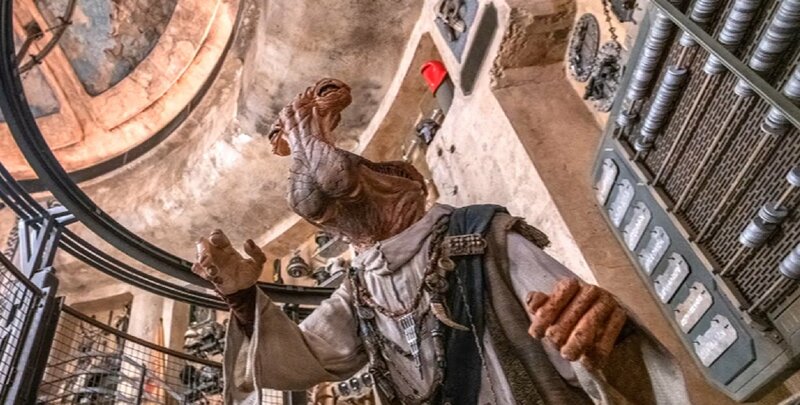 Star Wars: Galaxy’s Edge opens in just a couple of months in Anaheim and late this Summer in Orlando. While Disney Imagineering is keeping close wraps on many of the remaining details, we did get a bit of fun new insight into what to expect today. 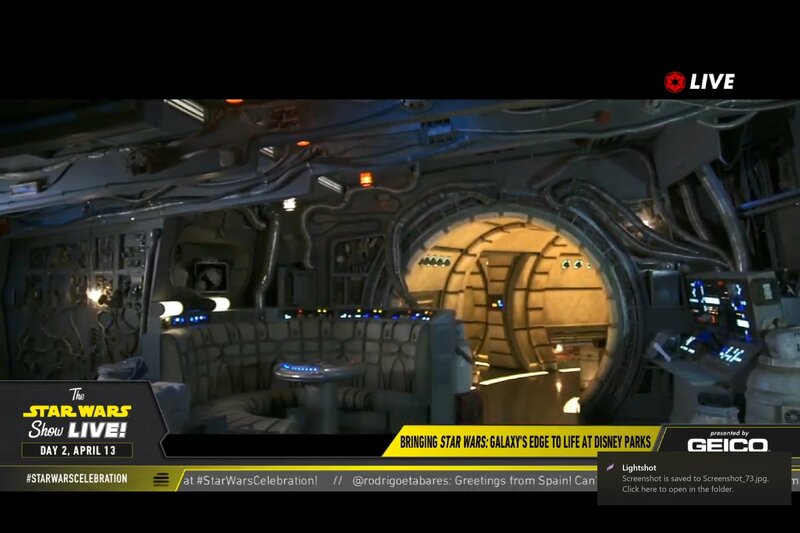 The Galaxy’s Edge panel was streamed live today on the official Star Wars YouTube channel and SWNN’s own Chris Manning was invited to attend, so we have coverage from both angles to share here today. Now let’s get to the good stuff. After the Force for Change announcement, host Josh Gad welcomed the panel who would discuss Galaxy’s Edge. On hand were Trowbridge as well as Asa Kalama (lead Imagineer on Smuggler’s Run), Margaret Harrison (in charge of story telling), Doug Chiang (Creative Director at Lucasfilm). Chris Beatty (Execuitive Director of Disney Imaginnering), and Matt Martin (LF Story Group). 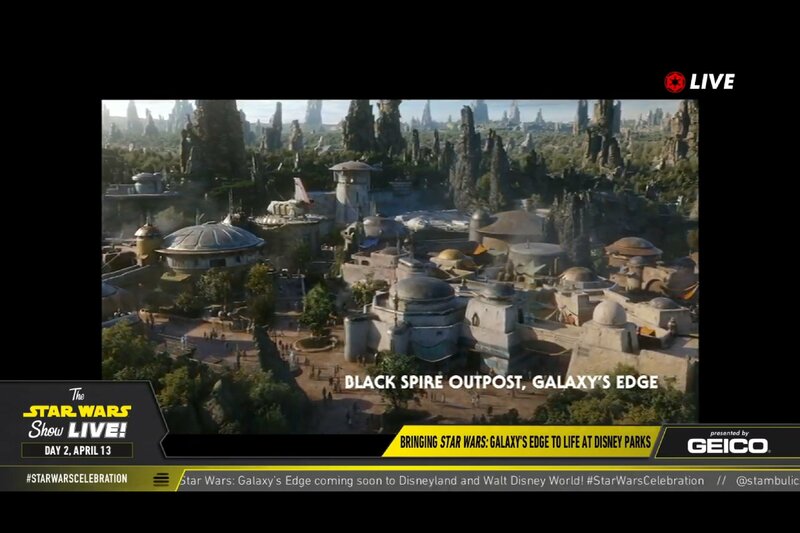 Much of the info that was shared was a comprehensive overview of Black Spire Outpost including mostly information that has been dripped out over the last year. Black Spire is an outpost in the outer Rim populated by First Order, Resistance, and Smuggler groups. The focus in making this location was to have a completely new planet so that it would not be tied to the stories of any one specific character. 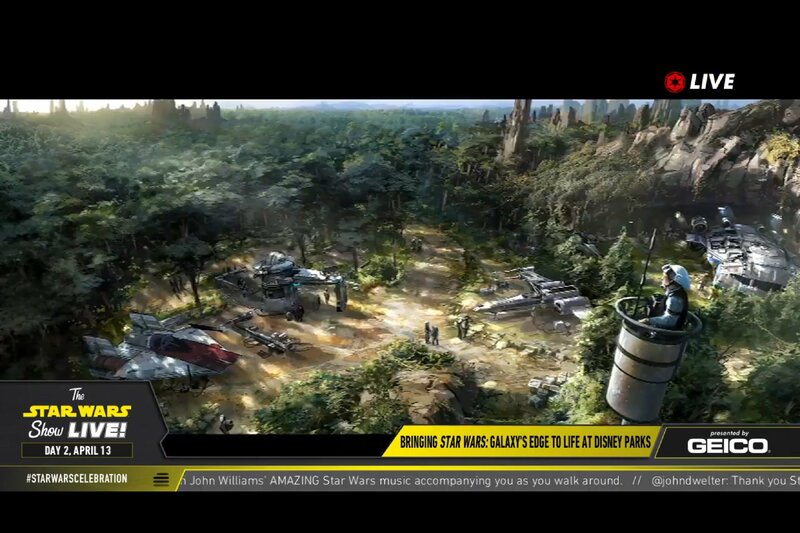 This way you can experience the sights and sounds for yourself on your own adventure in the Star Wars universe. 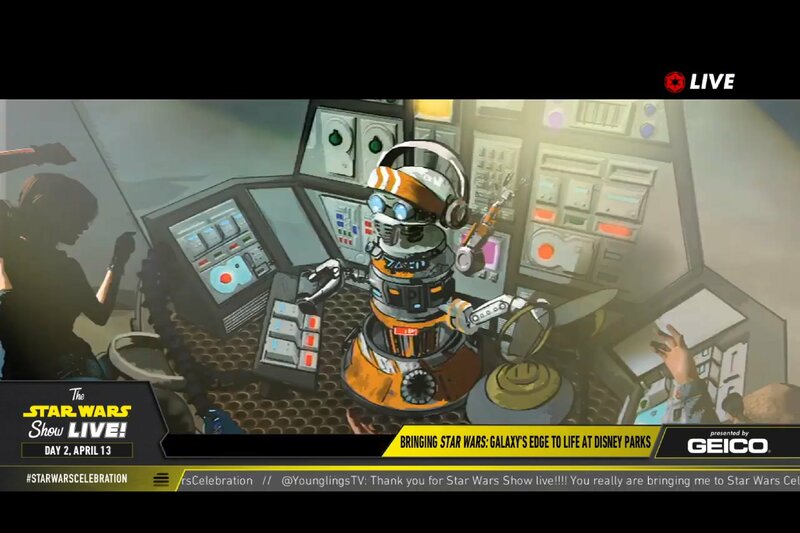 While most of that info was already known, we did get to see a few new pieces of concept art which help expand our view of what will be seen in Galaxy’s Edge. 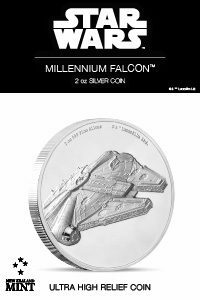 The two key attractions in Galaxy’s Edge, as already known, will be Millenium Falcon: Smuggler’s Run (where you will pilot the Falcon) and Rise of the Resistance (where Resistance recruiting ends up with you trying to escape a First Order Star Destroyer). While we didn’t get to see much new from these rides the panel did confirm a few new details. 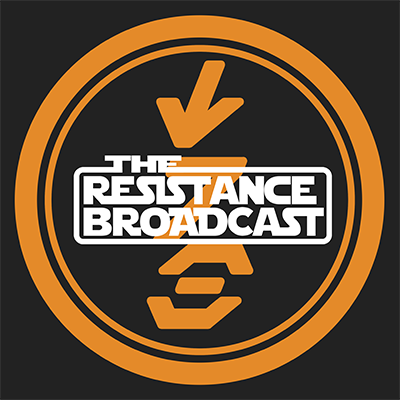 Trowbridge confirmed that Rey, Poe, BB-8 and Kylo Ren will all appear in Rise of the Resistance. And Kalama let us know that there will be in flight practical effects on Smuggler’s Run that will happen in accordance with our performance (good or bad) on our Falcon flight. A number of additional details were also revealed around the specifics and interactivity of the new land. The state of the Falcon’s Hallways will be in different states of disrepair upon your exit based on how well you performed in the ride. 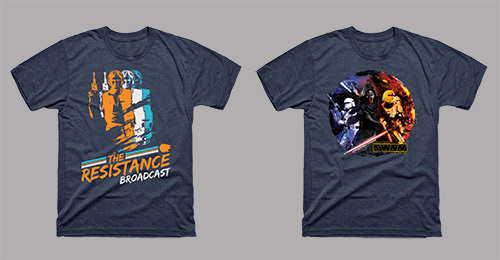 Doc Ondar’s Black Market Shop will feature Easter eggs from all eras of Star Wars content. While you can buy a pre-made Lightsaber from Ondar, the key saber experience will be building your own one of a kind hilt from scratch. One of the key areas of focus in putting this land together was a respect for this being the first time anyone would experience Star Wars with all five senses. Taste, touch, and smell are highly incorporated into the land. The panel gave us a taste of some of the music that will play in the Cantina. One piece was a new Modal Nodes number that sounds very similar to their songs from A New Hope. The other was a personal choice of DJ Rex that was much more electronic in nature and sounded very similar the original Star Tours 1.0 queue area music. In addition to Jim Cummings voicing Hondo and Rubens voicing Rex, Frank Oz will be heard as the disembodied voice of Yoda at some point and the Imagineering team trekked all the way to Africa to record new dialogue with the original voice of Nien Numb. As previously announced the interactivity will happen through a modified Disney Play app. Once you enter the land, your app can transform into a Star Wars data pad and will unlock the interactive functions within the land. There will be a translation app that will translate written Aurbesh for you. The tuning tool will allow you to eavesdrop into communications signals to get more backstory on the conflict within the outpost. All of these tools will be incorporated into a larger challenge where those who side with Resistance and First Order battle to take control of the various surveillance panels scattered throughout the land, with one side winning when all have been captured. And finally, Disney Parks Blog treated us to a tour of the Celebration Booth containing just a taste of some of the merchandise we’ll see when Galaxy’s Edge opens. 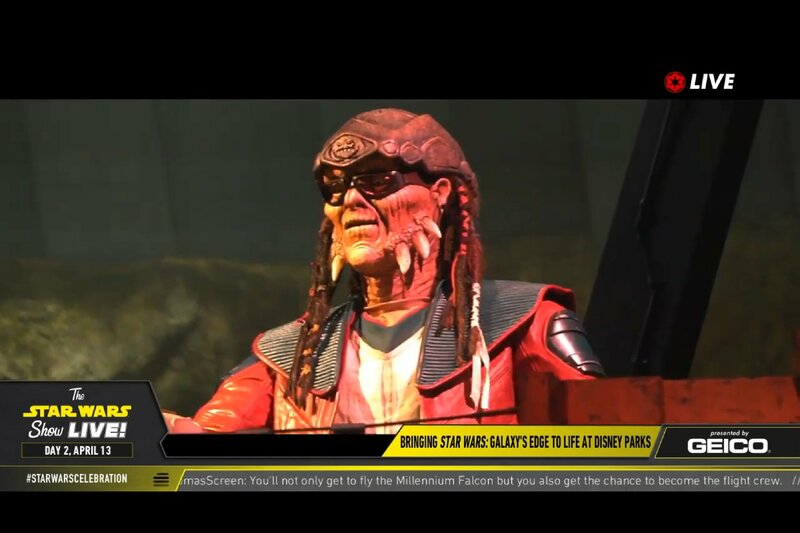 Stay tuned to SWNN for more details about Star Wars: Galaxy’s Edge as we get them. Anyway, post your favorite inaccurate prediction video (for TFA or TLJ) and list the things that they got wrong.